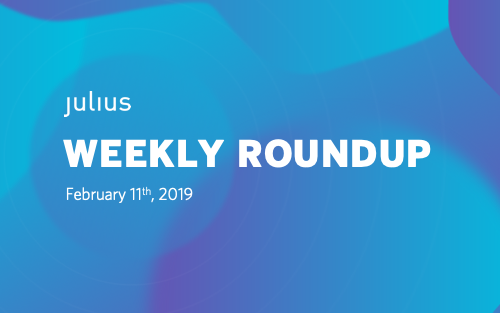 Trends, news, and analysis: catch up on the week's biggest headlines with the Julius Works Blog's weekly round up, your cheat sheet for staying in the know with influencer marketing. Burning Man, the 33-year-strong annual event held in the Black Rock Desert in Nevada, is eschewing influencers, decrying commodification and consumption. Marian Goodell, the Burning Man non-profit’s CEO, lambasted the pervasion of influencers at the event in a recent blog post. The ethos of Burning Man is for attendees to co-create a city in the desert that foregoes branding, commodification, and capitalist consumption, in favor of community involvement, sustainability, and inclusion. While some think of it as a “festival,” à la Coachella, Burning Man is supposed to be an “experience,” that teaches and celebrates its ten core values. Several years ago, attendees started using hashtags to share their experience on social media, but those hashtags have been adopted by brands and influencers over time. The breathtaking vistas of a man-made city in the middle of the desert, in an event that culminates with the ritualistic burning of a massive sculpture of a man (hence, Burning Man), are quite possibly the definition of “Instagrammability.” So it comes as no surprise that brands see it as an opportunity to market their wares despite their presence being anathema to the event. The Burning Man outcry is the latest example of a counterculture that rejects the concept of social media influencers, on the basis that their experiences cannot be authentic. As Goodell describes it in her blog post, “even if the intention is to express gratitude, isn’t an exploitation of the Black Rock City community?” She implies that influencers who profit from the event are exploiting the community who build the city. While we at Julius stress the importance of authenticity in influencer campaigns, there’s little to suggest than an influencer might not authentically enjoy or appreciate a product, while simultaneously attending Burning Man. So, although it might not be the most appropriate place to advertise, there’s no reason why the ad itself wouldn’t be authentic. However, that may not hold sway as a proper defense for those who are concerned about protecting the values of Burning Man. In fact, it raises a valid question – at what point does the influencer space become oversaturated? How can the industry measure saturation, and moreover, determine where influencers should and should not go? On one hand, it comes down to a brand’s judgment about where to spend their money – like whether Logan Paul’s antics make him a good brand ambassador. In this sense, the market regulates itself, as influencers with negative reputations are generally not granted partnerships. But what about the gray zones, like Burning Man, where an influencer might be unwelcome, yet the experience (and the resulting social posts) can still effectively market a product? These are questions the industry will continue to face and answer as it matures. And when it comes to brands, they will wisen up to where influencers should and should not go, lest they waste their money upsetting the very people they’re trying to attract. Rules and regulations have long been a sore spot in conversations about the nascent industry of influencer marketing. For all the progress regulators like the US government’s Federal Trade Commission, and the UK’s Competition and Markets Authority have made, there is still room for improvement. When New York Magazine published a blog entitled, “Is It Time to Regulate Social Media Influencers?” it added fuel to the fire of a conversation that’s raged throughout the industry. The blog included several examples of influencers acting in less-than-good-faith, whether they were accepting money to start “feuds” with startups as a marketing ploy, demanding large paychecks for mentions, or faking support of a cause for the sake of a sponsorship. The examples, although certainly cherry picked, shed light on the realities that marketers can face when executing influencer campaigns, and why it’s important to vet influencers or use a platform that does. From fake followers to failures to disclose, the influencer marketing industry has stared down existential challenges to the ethics and efficacy of its processes. Some of them are endemic to social media as a whole, while others are unique to the industry. Instagram and Twitter periodically purge bot profiles from their platforms, and have added several layers of security to prevent their creation. Many brands have taken steps to formalize their relationships with influencers, issuing contracts to dictate behavior, liability, and deliverables. Check out our blog post on seven tips for writing contracts for influencer marketing. On the whole, as the industry grows and strategies adapt, marketers have learned how to navigate the wild world of social media. SaaS solutions, like Julius, have implemented various data-driven solutions and strategies to counter such concerns, to give marketers all the tools they need to choose the best influencers. While a contract can offer legal remedies for influencers that don’t act in good faith, the broader question becomes how do we stop influencers from acting unethically in the first place? How can the industry disincentivize bad behavior? Logically, as budgets swell and the expected outcomes of influencer campaigns change, influencers will up their game. It is likely we will see a continued development of professional influencers, that is, full-time influencers who follow a set of standards to achieve better outcomes for their partnerships. The incentive exists on both sides for good behavior, and the industry is developing the processes to ensure it.